Where’s the best place for Innovation? Yesterday’s CUTEC Technology Venture Conference (TVC) in Cambridge provided a lot of interesting talking points. One of the world’s largest student organised business events, it brought together over 400 entrepreneurs, businesspeople, investors, students and start-ups to discuss The Ideas Economy and how it could develop. Doing justice to all the speakers and activities on the packed programme would require much more space than in my blog, so I’m going to pick a couple of key topics and focus individual posts on them. The first is the long running debate on the differences in entrepreneurial culture between the UK/Europe and the US. 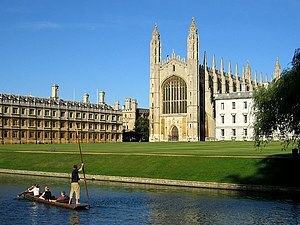 BBC technology correspondent Rory Cellan-Jones pointed out that there had been a sea change in UK attitudes over the last 30 years – when he left Cambridge in 1981 neither he nor his contemporaries would have dreamed of setting up their own business. But the first dotcom bubble showed people what could be achieved on their own and made entrepreneurship a viable alternative to corporate life. And this has continued with the current bubble enabling braver, disruptive ideas to be tried. However a panel of US entrepreneur Ted Shelton and adviser/investor/entrepreneur Sherry Couto, chaired by David Rowan of Wired pointed out there are still areas for the UK to work on. Failure is still seen as unremittingly bad, rather than a learning experience, short-term thinking means that entrepreneurs are likely to sell early rather than chase the investment needed to build the next tech giant and there are a lack of public role models to show people what can be achieved with an idea and hard work. Given that the highest profile business leader in the UK is probably Alan Sugar, this final point is definitely one I agree with. Talking to start-ups and students at the event backed up these points – rather than rushing off to become accountants or consultants many were seriously looking at either starting up their own companies or working for smaller, fast growth businesses. Now we just need to extend that attitude to drive longer-term thinking, unlock investment and maybe, just possibly, the UK can create the next generation of tech businesses to sit alongside Facebook and Google as global household names.